Cool Sunday morning in our neck of the woods! When mornings turn brisk, I always warm up to fall colors and the clean lines of Scandinavian design. 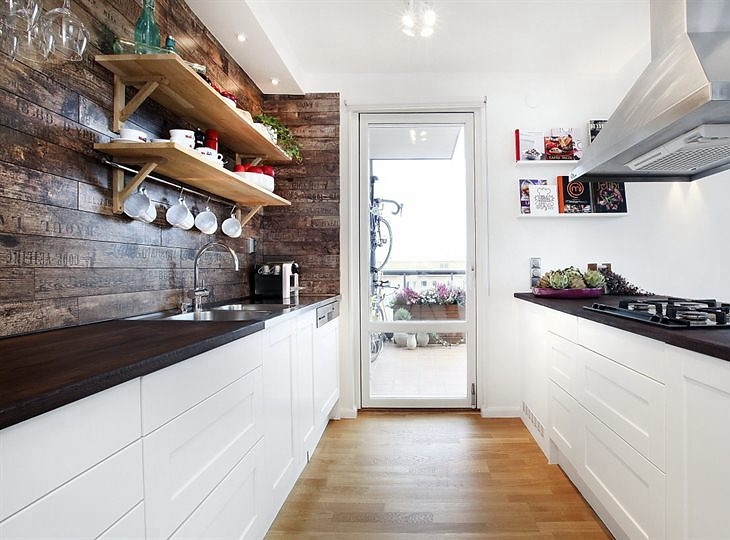 This Swedish apartment kitchen is really near the top of my 'like' list nowadays... Love the cleanliness of the white and the rustic feel of the wood. What do you think? Lots of good use and a small space! Oh my, this would be nice inside a 200 sq.ft. kitchen/dining cabin. I know the perfect place too!! Inspiring small space. Of course I would prolly add some tile. I'm not a fan of open shelves but I don't even care but this place is so beautiful! Love it! DuQuella- Tile would be a necessary addition! Madame- I just want to move right in! 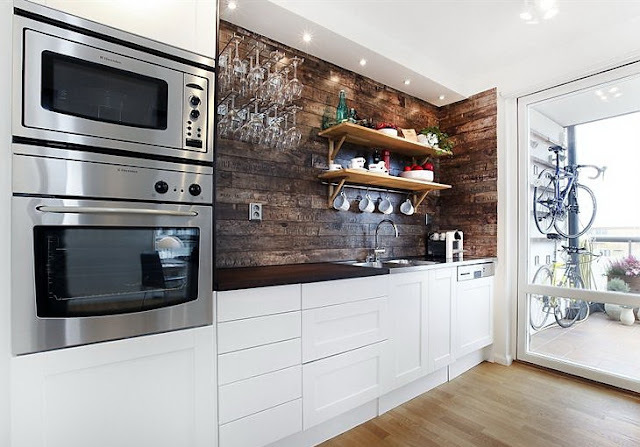 I think I would love to have a kitchen like this! It is small yet it is complete enough for my kind of cooking. 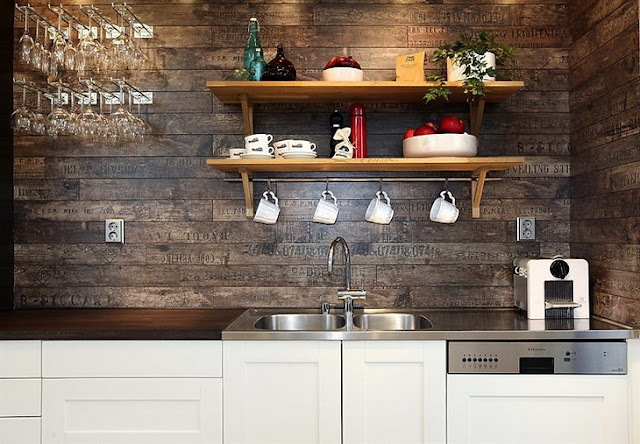 What a gorgeous kitchen! 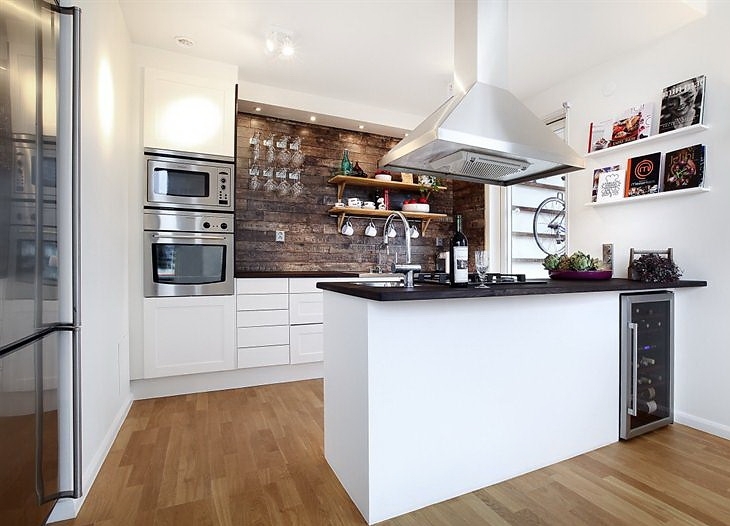 According to home experts, the kitchen is the 'selling point' of every property. It's what made me fall in love with these Manila condos.